The 2016 Nobel Prize in Literature winner was announced today in Sweden. The surprise winner is 75 year old American musician Bob Dylan "for having created new poetic expressions within the great American song tradition". Bob Dylan is not the first American to win the Nobel Prize for Literature, which is given for a lifetime of writing rather than for a single work. American novelist Toni Morrison was awarded the Nobel Prize for Literature in 1993. Academics have been lobbying the Academy to award Dylan a Nobel Prize in Literature since 1996, but there was a consistent push back due to his fame as a musician and his nonstandard canon of work. The Nobel has generally gone to those with their works more firmly in the traditional literary canon of novels, short stories, poetry, and prose. Dylan is best known for his music and his prowess with lyrics in the folk and rock traditions. "The times, they are a-changing." Some of his more literary focused work includes "Tarantula,” and "Writings and Drawings" - both collections of prose poetry published in the 1970s. His painting work has also been published and exhibited in major art galleries. His autobiography, “Chronicles” was published in 2004. 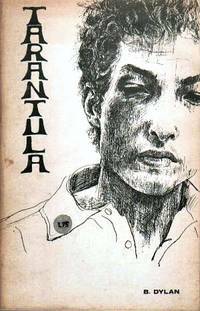 Enjoy browsing some of Bob Dylan's work below, including pirated copies of some of his poetry and prose, broadsides, photos, and original art.